The UBC Library Rare Books & Special Collections division has as one of its many unique and fascinating collections the photographic material of the Fisherman Publishing Society. 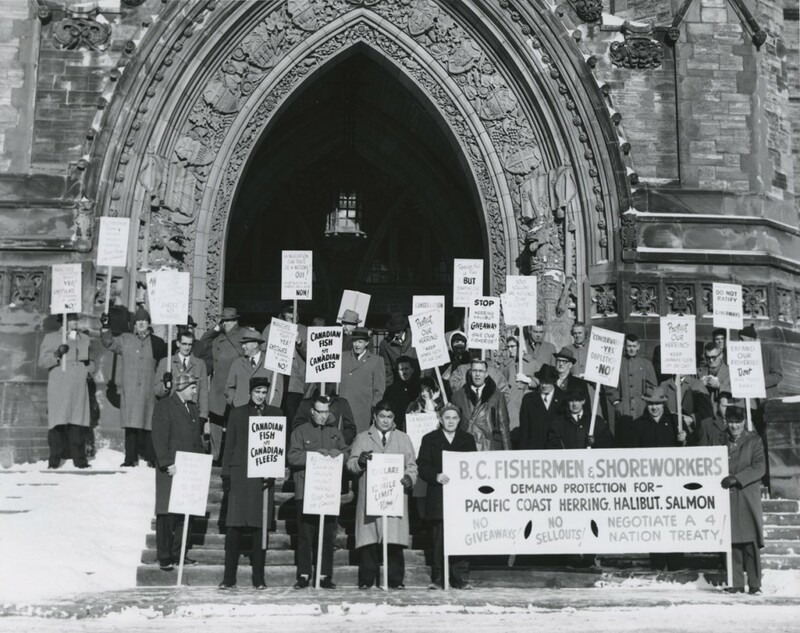 The Society published the bi-weekly newspaper The Fisherman for two important fishing unions: the Salmon Purse Seiners Union and the Pacific Coast Fishermen’s Union. As you can see from this photograph the unions were very active in political issues of the day. In fact they involved themselves not only in fishing issues but many others such as labour rights and nuclear energy. The collection is currently having its photographs updated to the current standard for our digital collections which will provide users with enhanced resolution images. Visit the collection here.